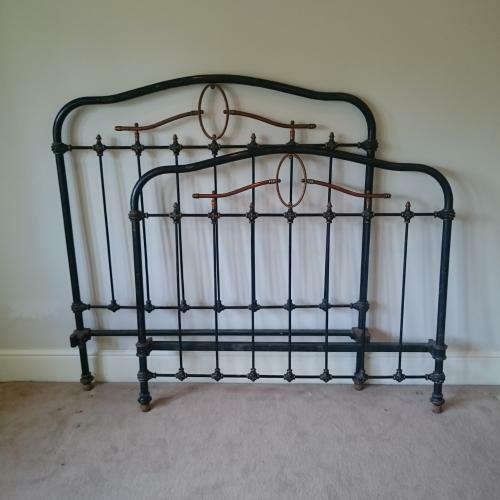 Quality C1900 vintage French iron & brass headboard and base. The bed would benefit from beig repainted or powder coated, for a smooth and durable finish. Please enquire for a quote. The iron frame has detail throughout and is in a strong and sterdy condition, with a few minor knocks and bumps in keeping with it's age. This bed is slightly narrower than a double.